Reducing teacher workload: talking is quicker than writing. 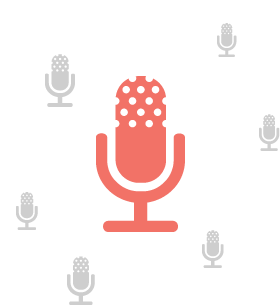 Did you know that you can record about 100 words of personalised feedback in one minute? In less time than it takes to write extended notes in student’s books, you can record richer commentaries for individuals or groups that are age appropriate. Students can hear the vocal expression of their teachers and this has a dynamic impact on their learning. The tone and intonation of a teacher’s voice conveys far more meaning and appreciation than written comments or cryptic remarks. 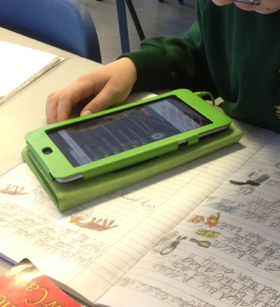 Students can also record their own peer assessments. I’ve spent the summer in Spain – my A Level pupils email sections of their coursework and using Teacher Feedback, I record feedback for them. They have found this very useful and it’s much better than trying to construct lengthy emails. I’m also using Teacher Feedback to comment on personal statements for UCAS, and have again had positive feedback. Recorded comments in Teacher Feedback are much more direct and are less easy to ignore. Teacher Feedback compliments traditional written feedback to students, depending on your assessment and marking policies. It has been found that recorded feedback can be more powerful than traditional written comments in books and helps students to engage more with key learning points. Absolutely loving Teacher Feedback just given real quality feedback on 9 pieces of writing… in 20 mins! Truly collaborative feedback. Teacher Feedback offers a fantastic new way of providing suggestions and assessment information to pupils. It’s much quicker than writing comments in books and allows children to listen to the feedback anywhere that they can access the Internet. Record your feedback using our handy web based recorder. 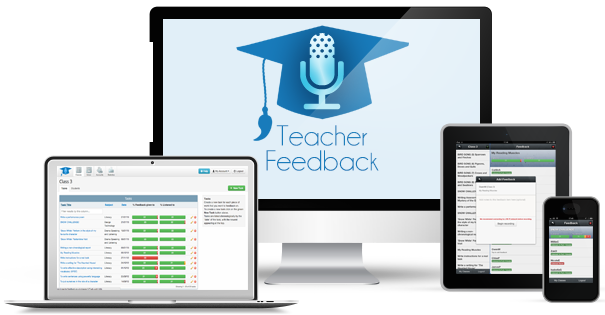 Track which students have listened to your feedback in full, partially or not at all and how many times they’ve listened to it. Your students can rate your feedback on a scale of 1, “I don’t understand” to 4, “I understand what to do”. Group your feedback into tasks, allowing you to manage your feedback easily and students to access it quickly. Send and receive messages from your students inside Teacher Feedback. Get your students to record their own feedback for each other, and you can check it before it’s published. All recorded and typed communications are peer monitored by teaching staff. Get a specialist to give your students some feedback! Just set them up a free account and off they go. Experience the benefits of audio feedback.